It is not my wish to clog up this blog with back-and-forth; and yet, I indulge myself this. Jessica rightly points out that I have been a bit sloppy with my meta-language about temporality. I will own that I have not put in the full work necessary to understand the philosophical or theoretical foundation upon which these terms rest. I am therefore not comfortable disputing them. Nor do I have Jessica’s admirable command of recent movements in the meta-discourses of literary criticism. But I do think there’s a basic methodological difference in how we are conceptualizing literary criticism, a difference that must map in a certain way onto larger disciplinary divides. I still conceive of criticism as largely a conversation, a conceit which privileges an idea of “originary textuality” as an interlocutor possessing a kind of agency. This conceit allows me to recognize that this idea of an originary textuality, which again need not be understood as a crude authorial intentionality, always receeds from grasp, is always modified and mediated by the ages across which the message travels – rather like Jessica’s conveyor belt analogy, or, perhaps, a game of telephone. To a certain extent, it can embrace these modifications as welcome additions rather than perceiving them as loss, just as in conversation with each other we never perfectly grasp another’s consciousness, and can delight in the possibilities of unintended signification. However, the model of reading I describe always has in mind at least the phantom of an original moment of communication as a lodestar, a standard against which later receptions are implicitly or explicitly measured. This conception of reading is, I sense, somewhat at odds with the project of post-modern theories which place great emphasis on the “ludic” possibilities of texts, the capacity of language for infinite signification. Here, there is a controlling outside-the-text. Philology as I see it is a project of controlling or limiting signification – Philologists are often invested in telling you what something can’t mean. As a group, this is perhaps our least appealing characteristic. However, there are different sizes of infinity – and I believe that an unlimited number of possibilities for meaning can play out in a field whose boundaries are distinctly demarcated by certain principles of positivistic inquiry. Thanks, Will, for addressing some of this; I was admittedly hoping for another perspective, and it helps to get a sense of your disciplinary background. You make a compelling case for a certain philological orientation (if I needed any convincing; as I suggested, I’m nostalgically mindful of philological shadows everywhere! ), and I agree that classical languages provide a limit case, as you say, for thinking about language in/and history. To state the obvious, an ancient text in the original would literally be devoid of sense or meaning for a casual reader. And that’s not quite the case for an older text in English, say: the earlier you go, the more remote the language and the more difficult the task of reading comprehension, but we can imagine a point – different for more or less every reader, and for every period of historical time – at which the linguistic identity of a text and the linguistic identity of an audience fall within close enough range for “easy” – or at least, comfortable (again, whatever that might be for any given reader or epoch) – access. So a measure of historical consciousness – the project of a philological reconstruction – becomes less pressing, itself more remote, if one can understand or relate to a text with thoughts left over for discussion. In its extreme form, this kind of presentism – wherein the activity of reading depends mostly, if not entirely, on the private experience of each respective reader – might be a radical expression of reader-response theory, or a radical application of reception studies. But of course, at least in the way I read it, this logic rather repeats the mistake of undue emphasis on originary textuality – e.g., at the expense of close attention to a range of [ahem] ludic associations. For lack of a better expression, it’s too diachronic. And of course, synchronicity hasn’t been a better alternative since the ‘60s – because that posits a system or a structure that would accommodate ostensible differences in reading experiences across time (space too). That’s no crumpled handkerchief, in other words. I want to press some of the words Will used, via last week’s reading/conversation, in part because I feel our (my) vocabulary getting out of hand. A-temporal, poly-temporal, multi-temporal, polychronic – what do all these mean, provided they don’t mean the same thing?! I don’t think we’re really talking about an atemporal mode of reading here, because that would be evacuated of meaning, like Will’s pseudo-Virgil example. And I don’t think polytemporality is exactly on the table either, because that would still be too prone to historicist attack (which would resemble the charge against structuralism, I think – but I might be seriously wrong). Got that? I’m only sold on paper, to be honest. My best paraphrase for polychronicity and multi-temporality would borrow Maddy’s description from class: seeing the crumpled handkerchief whole, and all at once. So, if I were to imagine Virgil on a continuum from the first century BC to the digital age, my polychronic and multi-temporal vision would NOT give precedence to the Aeneid at either endpoint. NOR would I witness the Aeneid changing hands, assembly-line style, or even in network fashion. Instead, out goes the continuum – right? Except I’m still unsure about where I’ve ended up, and what my textual interaction now looks like. Which might be why I took recourse to philology in the first place. P.S. I looked up Altertumswissenschaft, a new term for me, and here’s what Encyclopedia Britannica had: “During the 19th century, Germans evolved the concept of Altertumswissenschaft (‘science of antiquity’) to emphasize the unity of the various disciplines of which the study of the ancient world consists.” This sentence came right after the following definition for classical scholarship: “the study, in all its aspects, of ancient Greece and Rome. In continental Europe the field is known as ‘classical philology,’ but the use, in some circles, of ‘philology’ to denote the study of language and literature—the result of abbreviating the 19th-century ‘comparative philology’—has lent an unfortunate ambiguity to the term.” Now, is it just me, or does it sound like the ambiguity in question relates to classical scholarship here? Ambiguity indeed. I hesitated to offer up this too, too familiar passage for emphasis. Yet, because its familiarity makes it so easy to skim, the syntactic resources we read for today provide an opportunity to think about it in a new way. In class, I hope we’ll break these sentences down and try to determine what work is being done on a syntactic level—and why it matters. Here are some thoughts to get us started. Mueller points out that it is often difficult to distinguish between the coordinate, disjunctive “or” and appositive, connective “or,” in which alternative names are given for the same referent (33). In this most famous of all Shakespearean sentences, “To be, or not to be?” it may seem simple to determine which of the two is relevant. Every high school student will tell you what this soliloquy is about—should Hamlet commit suicide, or shouldn’t he? There is no overlap between the two options, and no ambiguity. Yet Hamlet has already shown a perverse delight in linking words and phrases that ought to remain opposed. He calls Claudius is his “uncle-father” (2.2.400) and his mother, and directly following this speech he will tell Ophelia “I did love you once,” and then “I loved you not” (3.1.125, 129). In this soliloquy, Hamlet’s most seeming-simple question of course propels us into one of the English language’s most profound reflections on the painfully unknown relationship between life, death, and what comes after. Hamlet does not know whether the neat binary structuring his first question holds up in the face of such uncertainty, and it shows in the shape of his stunning, “running” sentences, with all their “twistings and turnings of the syntax [that] represent twistings and turnings of the mind” (Lanham 53 – 6), and all of their parenthetical qualification. Parataxis abounds here (To die, to sleep—/To sleep, perchance to dream), because Hamlet has no idea how to “rank” these kinds of action in Lanhamian fashion. Yet, it’s clear he’s thought about these questions quite a lot, and we’ve seen him at it for the better part of two acts. So, while I’ve tentatively labeled much of this soliloquy as a series of running sentences, how closely do these sentences resemble the periodic style? All of the periodic elements are here—suspension, parallelism, balance, climax, and virtuoso display. Is there anything significant about how Shakespeare makes the two forms look so similar? Getting back to a question raised last class, to whom is this virtuoso performance of thinking-in-action directed? I look forward to hearing your thoughts. King: Give me some light, away. Would not this, sir, and a forest of feathers, if the rest of my fortunes turn Turk with me, with provincial roses on my razed shoes, get me a fellowship in a cry of players? Hamlet: A whole one, I.
Hamlet: O good Horatio, I’ll take the Ghost’s word for a thousand pound. Didst perceive? I chose this passage mainly for its mix of tenses and its mix of prose/verse. There is a lot going on here, but since we’re thinking about time and tense, I want to focus on the subjunctive as it is used in this strange exchange. The mood of possibility is already a tricky tense—in part because we describe it as a tense, in spite of its intrinsic a-temporality. Or, if it is not a-temporal, its time is still out of or apart from ours, which seems particularly pertinent to a play that deals in ambiguity in the way that Hamlet does. The subjunctive’s meaning may be a-temporal, but the ways we use it are not. According to the Rissanen article, in fact, the loss of the subjunctive inflection was one mark of Middle English’s progress toward analytic constructions, and the increasing use of auxiliary periphrasis in order to represent the subjunctive became a marker of Early Modern English. According to Rissanen, the auxiliary periphrasis of the hortative subjunctive—which is the command/mandative form of subjunctive whose periphrasis is expressed by “let” as in line 251 above—developed more rapidly than the periphrastic form of the optative subjunctive (the mood that expresses wish—think of adding the word “may,” as in “may we be truly grateful”). Anyway, that is a good deal of technical language in order to make the simple point that Hamlet’s first bit of verse above begins in a form of the subjunctive tense that also marks it as relatively current to 1599 (though I’m not sure if it would have “sounded” particularly current—how fast does language evolve, and how fast do we get used to its evolution?). This particular snippet of verse, however, ends in what sounds to me like a common-place—“for some must watch while some must sleep”—which develops into what is now, thanks to this moment, another commonplace (“thus runs the world away”). ** Commonplaces in this play may be a kind of archaism, or at least a category of phrases that we associate with older characters and characters that waste our time, but like the subjunctive they also exist outside of time, in a way. They have that always-being-true effect that makes them difficult to locate temporally, even as we associate them with outdated language and outdated characters. I think what I’m getting at here is a question about what to do, as readers, when a verse’s immediate tense is simultaneously equipped with a time-stamp from a different time or temporal plane altogether? In what tense are Hamlet’s verses operating, both in terms of their grammar and in terms of their place in the play’s larger structure? This seems important, especially when we consider the fact that this whole exchange opens up and lingers over an essential moment that would have otherwise been brief (Claudius’s leaving the room)—so in addition to all of the other times at play here, we also have the sense of a pause. I think a lot of these conflicts and interactions come to a climax at the end of the second verse. We’ve had the subjunctive playing at different registers throughout the passage I’ve highlighted—from the direct command “Give me some light” to the more mild “let the stricken deer go weep,” or the more confusing “would not this…get me a fellowship in a cry of players?”—but it all but disappears from Hamlet’s second verse fragment. However, the subjunctive also defines that second verse fragment in curious ways, because of the possibility of rhyme that Hamlet flatly refuses (and that Horatio very flatly points out, lest I get credit for that reading). I am fascinated by that “very—’ pajock” and its subsequent “you might have rhymed.” It’s a kind of implied subjunctive, in which the mood of possibility is not constructed out of auxiliary periphrases—actual syntactical realities—but instead manifests itself through the ghostly presence of a would-be rhyme. Hamlet himself points us to this feature of what I want to call subjunctive verse when he invokes the “ghost’s word” immediately after Horatio’s poetic critique. How do conventions of verse present these kinds of moods of possibilities, for words that might have rhymed or meter that might have “fit” better (something we’re probably all thinking about as we imitate)? Is it more effective than prose for simultaneously invoking and then defying convention, and thus presenting us with an unfulfilled possibility? In light of that last question and this week’s reading, I think we could also have an interesting discussion of the prose in this section—but I haven’t formulated my thoughts on it quite yet, and I think I’ve rambled on too long anyway, so maybe we can look at them together! **And though I don’t want to go into it here, I do think that features like this—the long genealogy that is manifested in the reception, performance, inheritance and quotability of some of these lines—is another mode of “possibility.” It is moments like this that really illuminate the conceit of time as a crumpled up handkerchief. On paper I’m a philologist. I’m enrolled in a degree program in Classical Literature and Philology. However, I’m not sure that I really know what philology means to me, and what it might seem to mean to people from other disciplines. Within Classics, philology is used sometimes to distinguish textual criticism, historical linguistics, grammatical commentary, etc. from literary criticism more broadly construed. Sometimes, however, Philology seems to include literary criticism and to stand as a major sub-field of Classics in opposition to, say, History, Archaeology, or Art History. At other times, I’m not sure how distinct “philology” really is from even those other aspects of the study of antiquity. The all-encompassing German term Altertumswissenschaft lurks somewhere in the background. Perhaps this reveals a certain lack of theoretical sophistication on my part, or perhaps it is just a product of my institutional training, but at least on the level of language it it difficult for me to imagine what is meant by a truly a-temporal model of reading. The text of Vergil, written as it is in a dead language, would mean precisely nothing to me had I not spent many hundreds of hours benefiting from the positivistic toil of scholars who went before me and indulging in a certain amount of positivism myself. Sure, there’s no law that says I couldn’t just read the Latin words aloud and free associate some things they reminded me of – but at that point I would not, in any reasonable sense, still be reading “Vergil.” Insofar as texts are composed in language, and the ability of language to mean is fundamentally contingent on history, I don’t see how one can abandon the project of beginning any interpretation with a hard-won understanding of what the interpretive possibilities were for a given text at the moment of its creation. This, in a nutshell, is what I think I am doing when I do philology. I wish to be clear that this is not strictly a project of uncovering authorial intent – simply of establishing through debate the range of readings which will render lexical, grammatical, and narrative coherence to an ancient text without introducing linguistic or historical anachronicity. Perhaps this will appear uncontrovertial. But dead langauges are a good test case, I think, for what the limitations to an a-temporal or poly-temporal reading strategy might look like. 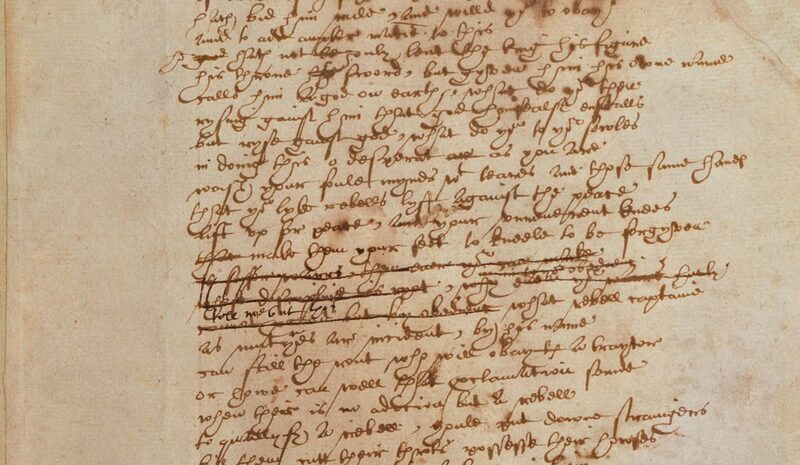 To read or translate a text written in a dead langauge is to engage in answering a series of fundamentally historical questions. I don’t think such historical question are the end of interpretation – but it seems to me that they must be the beginning. As someone who works on the reception of the classics, I’m very much invested in the ways that later accretions and moments of response and reuse can serve as allies rather than enemies to the project of exploring the various ways in which ancient texts can mean (here I think of C. Martindale’s Redeeming the Text – a book that I find extremey frustrating in some ways but also very thought-provoking). Inasmuch as the text of Virgil comes to me mediated through a long history of scholarly practice and literary receptions, and itself represents the culmination of centuries of reception of Greek and Roman literature, the process of fully appreciating this text is very much poly-temporal. But I think that, if we are to avoid chaos (though perhaps chaos will seem to some a consummation devoutly to be wished), this all needs to be anchored by the most precise positivistic understanding of the circumstances of the text’s creation as one can obtain. Not sure if this is very helpful with respect to reading Shakespeare – just my thoughts on the issue at the moment. I hoped to chime in at some point during the latter half of class today in order to spare you another post (I don’t feel comfortable being a blog-hog! ); I would like to put a few thoughts out there, though, be they in the way of further speculation on time and history in our critical thinking. So here goes. I feel like our ambivalence today – between the inclination to preserve what might be a sequential, roughly diachronic mode of thinking predicated on phenomenal experience or perception, and the acknowledgement and pursuit of an interpretive logic or simply apprehensive faculty that would account for multi-temporality or polychronicity – derives from our current disciplinary situation. Which perhaps sounds self-evident. But I couldn’t help thinking of disciplinary history during our discussion – specifically, when Will commented on confronting a (here) textual object occluded? or enhanced? by layers of historical sediment: spin-offs, parodies, associations, etc. I was thinking, just as Will was about to articulate that notion of arriving at an ur-text, of sorts, “excavation”: this is a process of excavating the (here) literary past. But (I’m almost certain) Will said “reconstruct.” Which put me squarely in mind of philology. (Bear with me, please, and please correct where necessary; this is fairly untried stuff.) We’re hoping, especially these two weeks, to follow through on historical attention to words, and that sounds compatible with the philological enterprise of yore – before the consolidation of literary studies as we know it around the turn of the twentieth century, but really a few decades into the 1900s. I write “of yore,” knowing that philology exists to this day as the study of linguistic features, patterns, and transformations in classical languages (and I hope I’m not entirely butchering that, esp. vis-à-vis historical linguistics; classicists, don’t hold back). But it went out the window with respect to vernacular languages in the literary field after the 1800s – that is, philology as it was then known. What I find incredibly fascinating is the way in which philology has in fact splintered into new or adjacent domains and perseveres under different titles, in different places, today. I’m thinking of it in the European (to my knowledge, specifically German) context, as equivalent to American bibliography, loosely, and textual criticism, more precisely. This refers to scholarship that approaches texts as material objects – looking at textual variants, editorial and print histories, physical properties – in order to establish authoritative versions of texts or pin-point them on a bibliographic continuum. That’s very much still a project of “reconstruction,” only it announces itself, in the post-modern environment, as amenable to the kinds of receptivist tendencies we articulated today – to textual identity as inclusive of spatio-temporal contingencies. (Not to get too left-field here, I’m thinking of a book called Bibliography and the Sociology of Texts, by D. F. Mackenzie, which argues, in part, that each different iteration of a text bears significance and a kind of positive value in its, as it were, deviancy.) So this is effectively a materialist shoring-up of what I imagine constituted part of traditional philology into an independent (and relatively uncommon) discipline today. The other side of current philological interest – or at least, a putative throwback to philology from not too long ago – factored into the late-century conversation over literary theory. I’m not confident in my ability to impart this material accurately, but there was talk of a “return to philology” (cf. Paul de Man) as part and parcel of critical/theoretical/arguably abstract literary inquiry that still rejected the ostensible positivism of traditional philological practice while actually promoting close reading techniques attuned to latent textual meaning (not under the auspices of New Criticism per se, that is). I think this coincides with, or at least relates to, the kinds of representations of time and history we encountered today – ones that reimagine linear time (at bottom, undermining the idea of a primary textual occasion, origin, or genesis). Ones that [try to – but that’s just me] retain the likes of our class project – thinking about the fabric of the language and the texture of words – without recourse to outmoded philological paradigms. To recap: Thinking about literary language in conjunction with history recalls philology, which doesn’t exist in modern literature departments. There is a materialist study of texts, compatible with what’s called philology elsewhere, if we’re asking about books and not, say, cups and saucers. And the latest phase of philological inquiry, it seems to me, tried to redefine “reconstruction.” Might this kind of philological nebulousness have contributed to our being hard-pressed for answers today? From there, I did a riff on some influential recent thinking on the polychronic (the simultaneity of different times) and the multitemporal (the juxtaposition of different kinds of time, ways of reckoning it). I cited Bruno Latour (We Have Never Been Modern) and Michel Serres (a good place to start is Conversations on Science, Culture, and Time, with Latour). I offered my coffee cup as an example, its ancient form, its more recent design (Japanese? Or not really? ), its clayey stuff, the signs of use and wear—an object that collates a variety of different historical moments. It has been a tendency of such thinking about time to focus on material objects. What does it get us if we apply it to words? From there the conversation forked, as I remember it; one line having roughly to do with literary attention, the other with polychronic language. The attention conversation was asking about the possibility, and the value, of developing such a sensitivity about any particular moment of the past, any moment not our own. Can you use technical means, such as we have adopted, to attain something like the feel you have for the music of your own lifetime, its stylistic affinities and schisms? What will that attention be like? I mentioned F. R. Ankersmit’s Sublime Historical Experience, which understands such transport to the past, the feeling of being then, as being the basic motive of historical inquiry. Is that what we are up to? Or might be? There was some interesting talk, too, about what we’re interested in when we are attending to multiple temporalities—are they coequal, a free collation, Jeewon asked; or are they always interesting in relation to some particular moment, the moment when the thing was made, the text written? The historicist project tends to identify that moment of emergence and understand the other times in relation to that moment. So, if there is a medieval strain in Hamlet, our interest is in the play’s medievalism, its attitude toward that part of itself, where the “itself” is understood to be situated in 1599. That’s the usual historicist project, and nothing wrong with it—it could nearly be said to be constitutive of humanism—but we noted that there are alternatives out there, which allow those different times a freer relationship to one another, free in particular from chronology and from cause and effect. Benjamin’s “Theses on the Philosophy of History” is interesting here—his sense of the emancipatory potential of historical connections that defy or exceed historiographical narrative. Benjamin is more interested, perhaps, in the frictions and irruptions of the polychronic and what they can provoke in the present (more interested than Ankersmit, who wants to be, as Bottom might put it, translated). Archaisms (which can be per Munro both nostalgic and forward looking). Neologisms (ditto, and which depend so much on what they’re made from: from Latin? from a European vernacular? by means of affixes? compounding? grand style or inkhornism? etc. etc.). Particular allusions or stylistic affinities, e.g. to Chaucer (and what Chaucer? Theseus’s nobility or choice words from Troilus for the courtier?). Sententiae (with their classical pedigree, but also their smell of the lamp) and proverbs (with their folk-time, common wisdom, orality). The different temporalities of genre (to which Mary N introduced “epic time”). The temporality of the lifespan, especially childhood (impatience? impulsiveness?) and age; they have their idioms. Speed and delay, with particular attention to the way in which some characters (Polonius, the Player King) can filibuster; there were some interesting remarks about wasting time. Andrew and John led us into some passages where we could explore these times; the imitations, after the break, brought us to the “rugged Pyrrhus” speech (again Mary’s “epic time,” which seems to be so particular to that episode). There was some great Virgil, Chaucer, and a final prophecy of the eighteenth century. At some point I asked, in a somewhat gnomic way (gnomic, at least, to myself), is anyone ever present in this play? What would it mean to be present? Maybe we can take that question up next time. In Hamlet, memory seems to be something that looks behind, insofar as it looks to things past (such as the classicism that follows Hamlet’s introduction in Act 2 Scene 2 posted directly above), as well as forward, insofar as it becomes a mechanism for drawing what is about to be said into future action. Lucy Munro discusses the concept of archaism in literature during the Early Modern period as something temporally cyclical: not only something that allows “archaising writers” to “demonstrate their awareness of historical difference,” but also something that allows them to “reshape the past, to mould the present, and proleptically to conjure times yet to come” (Munro 5). While Munro discusses uses of archaic language and syntax in her introductory chapter, reading it led me to consider how the concept of memory — say, a nation’s general collective memory of its past authors that have helped shape its past, current, and future literary identity, as Munro suggests, or perhaps, the resuscitation of archaic language as a means of viewing those past authors from the present moment — factors as a vehicle for not only looking toward, but actively and proleptically projecting readers into the future. The few passages I’ve chosen above seem to do this in ways that I’m interested in discussing. While the emphasis for Munro is on language, I think that looking at places where memory is raised could serve as an interesting means of conceptually grappling with how archaic language may function in the play as a whole. For example, the first two passages above seem to relate memory to acts of speaking and reading. Polonius suggests that Leartes may use “precepts,” derived from the Latin praecipere “warn, instruct,” a word drawn from prae, “before,” and capere, “to take (up),” in his “memory” to see his character. Thinking back to last week, is character constructed in Hamlet along linear, or cyclical, temporal lines? And the phrase immediately following, “give thy thoughts no tongue,” could be interesting to consider: given Hamlet’s association of memory with digestive and literary consumption (1.5.98, 100, 103), is memory something that character is built on, or is it rather something that actively builds character? Is it a bit of both? If so, how does literary memory versus spoken memory shape character? Can any productive differences be drawn? In any case, I think that there’s active movement to be considered here. Memory is something in Hamlet that seems to move, rather than to be static and firmly placed in the past to be drawn from like a well. In the third passage I cited above, Hamlet uses memory in a sense of drawing from the past — “I remember” — but also as something proleptic and peremptory, in looking toward a future set of classical expositions — “If it live in your memory, begin.” Moreover, in the classical drama that follows, the present tense is used throughout, and before the final lengthy passage, the First Player uses the term “mobled queen” (2.2.493), which Hibbard suggests in the corresponding footnote “has not been found in any English writing prior to Shakespeare’s use of it here” (p230 OUP, l.493n). This seems to be a potentially interesting piece of language to consider in light of memory, in this case of classicism, being a platform for something newfangled. The OED has cited it after Shakespeare as well, suggesting that it indeed did enter the English language, and was not just a one-off. What does Hamlet’s introduction of this set of classical passages as something that actively “lives” in memory, but also as something from antiquity, imply about the role that memory plays in contemporary and future language? On a final and slightly related note, the classicism here led me to think about how classical language is oftentimes used to introduce medieval romances, primarily as a means of constructing a sense of national identity in Britain. The rhetorical and linguistic register of these romances doesn’t change to accommodate such themes, but I thought that the idea of memory looking toward the future by drawing from a shared classical past was fun to think about relative to texts I’m interested in studying more in the future. Apologies for the delayed post — I hope that the idea of memory and language leads to some fruitful discussion tomorrow! Make us again count o’er ere love be done. Discomfort you, my lord, it nothing must. Either none, in neither aught, or in extremity. And, as my love is sized, my fear is so. I do believe you think what now you speak. The passion ending doth the purpose lose. Whether Love lead Fortune or else Fortune Love. Directly seaons him his enemy. I’ve chosen this passage from the play within a play in Act 3 because the play, particularly in who it is designed to address, is a particularly productive site for thinking about “time” in Hamlet. The play, The Murder of Gonzago, is of course Hamlet’s way of gauging whether what the ghost has told him of his father’s murder is true; by observing how his uncle and mother (the King and Queen) respond he hopes to judge their guilt or innocence in the affair. At the macro-level, the play stages the question of whether these “ghosts” of the past are still visibly manifest—is the play out of the times of Claudius’ court, or, is it very much in time? The epic opening of the performance, given in the Player King’s classical allusion to “Phoebus,” “Neptune’s salt wash,” and “Tellus’ orbed ground, suggests that this play is out of time with the Court, and that the regicide it depicts is one that, as Hamlet sinisterly jokes, “touches us not” (3.2.235). All the while, the Player Queen responds to the Player King’s classicism in jarringly literal language, which seems to bring this play-within-a –play right back into the present. The Player Queen’s “sun and moon,” as opposed to the Player King’s allusive register, re-situates the language of the play in what Terttu Nevalainen might include in her discussion of the English “common core,” or words that maintain their currency across time. Then, too, the Player King’s own lexical pool contains words that mar the epic time-stamp of his lines with the stain of the present. The first cited use of “Orbed,” according to the O.E.D, is in 1598, rather contemporary with the period in which Shakespeare is writing. While “orb” as a noun has currency as far back as c. 1400, “orbed” as it appears here, as an adjective, is much newer in its use. And, perhaps most notably, “commutual” is a word appearing in English for the first time in this scene, which the Player King uses to describe the reciprocity of the marriage vow between the Player Queen and himself. The vexed time of the language, current language to describe what is supposedly guarded by the distance of the past, seems to aid Hamlet’s heavy-handed suggestion to his uncle that this play within a play has relevance in their present moment. But even beyond Hamlet’s heightened state of being in the play-within-a-play, Shakespeare plays with the tenses of the Player Queen’s lines on widowhood in the aforementioned moment. “None wed the second but who killed the first” contains a present and an implicit future tense, the idea that none wed or none will wed, as well as the passive “who killed the first.” This creates an interesting sense of time rhetorically in the sense that the Player Queen suggests that any current or future action is predicated on the legacy of an action in the past. We see echoes of such a philosophy in the Player King’s response to her when he says “Purpose is but the slave to memory.” Of course, the Player Queen’s meditation on widows re-marrying doesn’t end here, because she goes on to say, “A second time I kill my husband dead/When second husband kisses me in bed.” Suddenly, the action is all only in the present or future/conditional tense and the Player Queen’s lines, because of this tense shift, once again move the play within a play back into time with its royal audience. These are some of the ways I’ve been thinking about language, tense, point of reference, and time in the passage, but I hope, finally that we can also think on the Player King’s fantastic discourse on “purpose” (mentioned in brief above), passion, action, and fate. When the Player King recites his lines on “purpose” being formed in “passion” but “passion ending doth the purpose lose” he offers up a provocative temporal model for thinking through action and inaction in Hamlet writ large, once again extending the play within a play from its distanced place in time to the immediate present of its audience. I personally found myself thinking on Munroe’s “Introduction: conceptualizing archaism” and her sense of the way in which the past forms presents and there is perhaps no present but presents past. I phrase this all somewhat abstractly here, but perhaps it is framed better as a question: in what ways is Hamlet’s psychological state, his action, and indeed his inaction predicated on his sense of the past? Can Hamlet act in the present? If so, what does it look like?